He plans to major in linguistics although he doesn't read a lot. However, he reads magazines religiously, and makes a habit of actually reading books for assignments instead of reading summaries and study guides. Currently he's reading Life Of Pi by Yann Martel for an assignment. The laptop next to him is playing an audiobook version at the same time (what a great idea!). 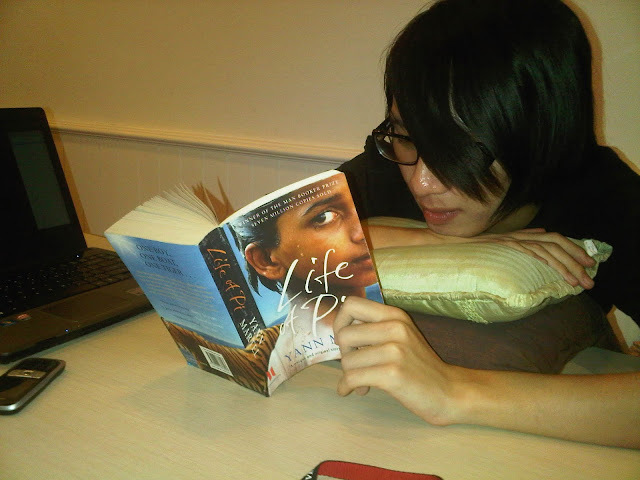 He likes to read indoors or in cosy environments like cafes, and his favourite book is Being Happy.